« Happy Mother’s Day ! Maria! You have made my heart go pitta-pat! 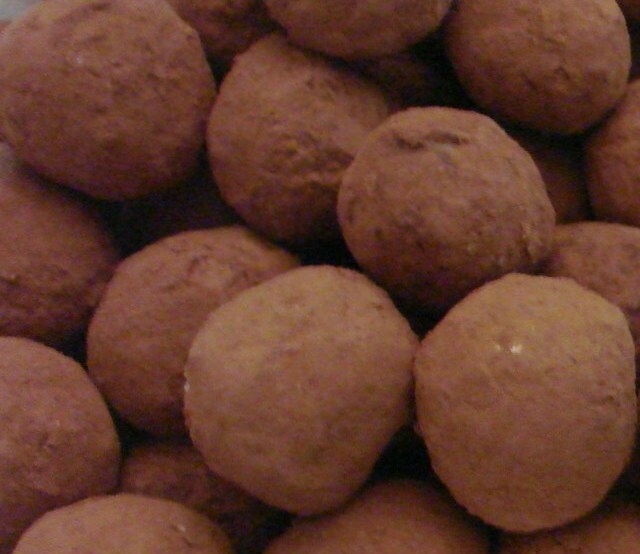 I love chocolate truffles, and, I adore that you use Dutch process cocoa powder to make them!!! should learn how to make them. The problem is they never ever last. For some strange reason they disappear almost ilike magic……Jack Felton. 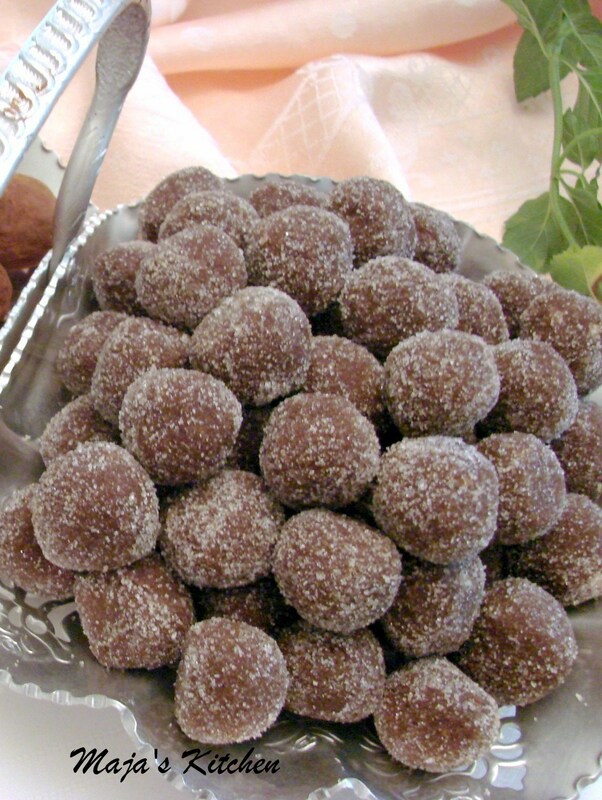 Dear, dear Jack….what can I say….yes, you started tasting my chocolate truffles some 20 years or so ago…….and I do appreciate your praises…, you are one of our “bestest” friends in the whole wide world…..
Lots of love to you….always! Jane…..I am honored that you have included my recipe chocolate ganache….thank you….I love it. And the idea about putting a truffle into the chocolate molten batter…is just an amazing idea….I will absolutely tell all my friends about this….my next chocolate cooking class will be awhhhhhhhhsome! A big hug to you…..
Oh what a wonderful wonderfl post. 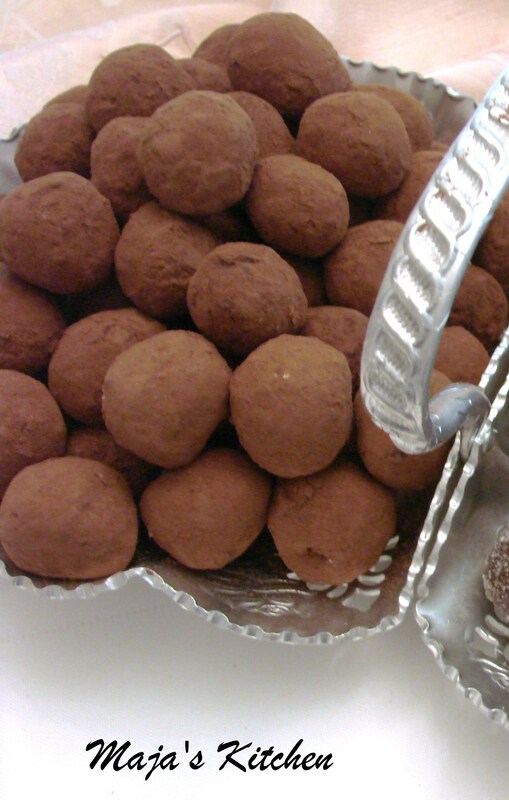 I ADORE truffles Maria and now you make me want to go out, buy some fantastic chocolate and make these. I am determined now, before the summer is out! Thank you! 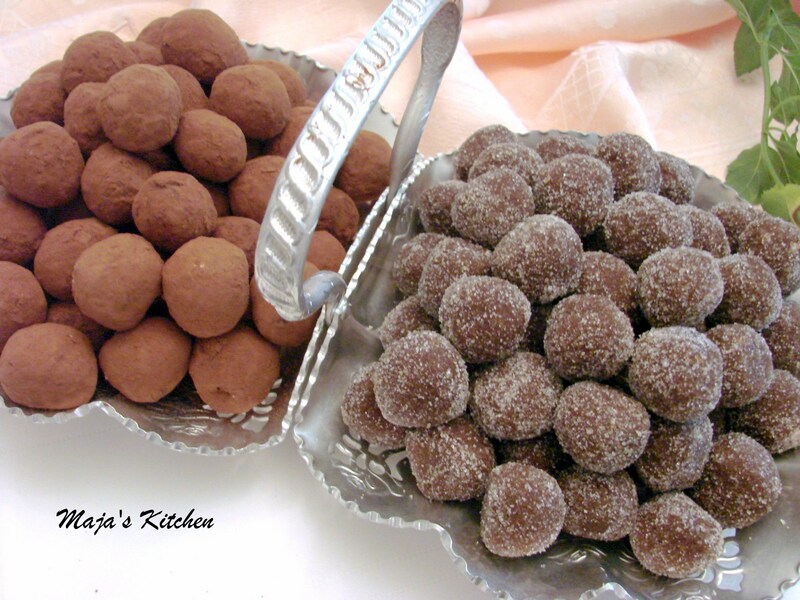 Hi Devaki…so nice to hear from you…hope you made the truffles…once I made them I could not stop eating them….I always love your comments they cheer me up every time..hugs to you….